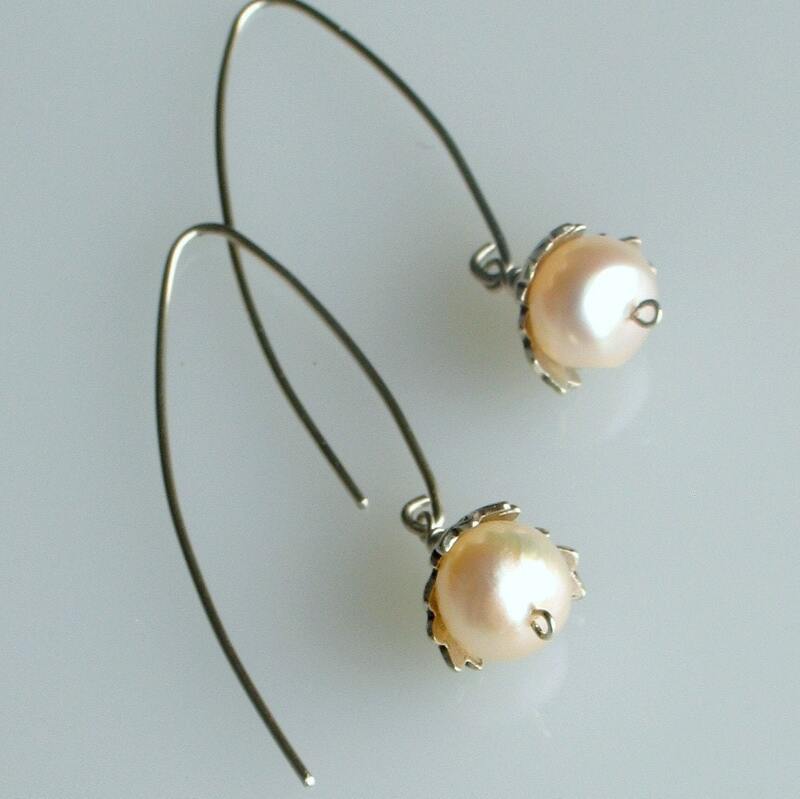 Long drop earrings with white freshwater pearls. These feature heavy silver, handmade bead caps in sterling and hand made ear wires. 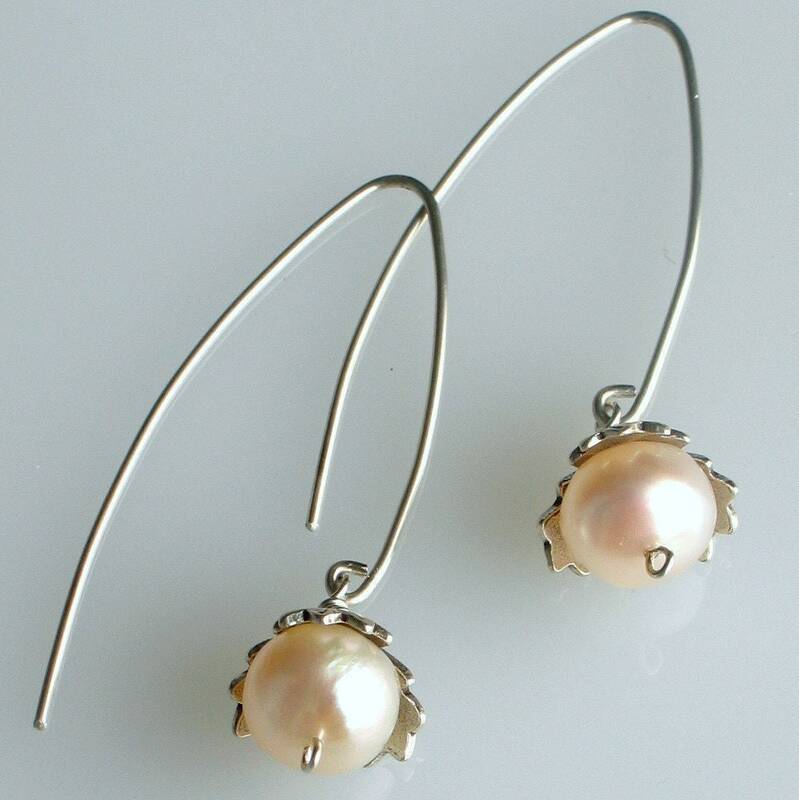 My long dangle pearl earrings are classic and garden inspired. 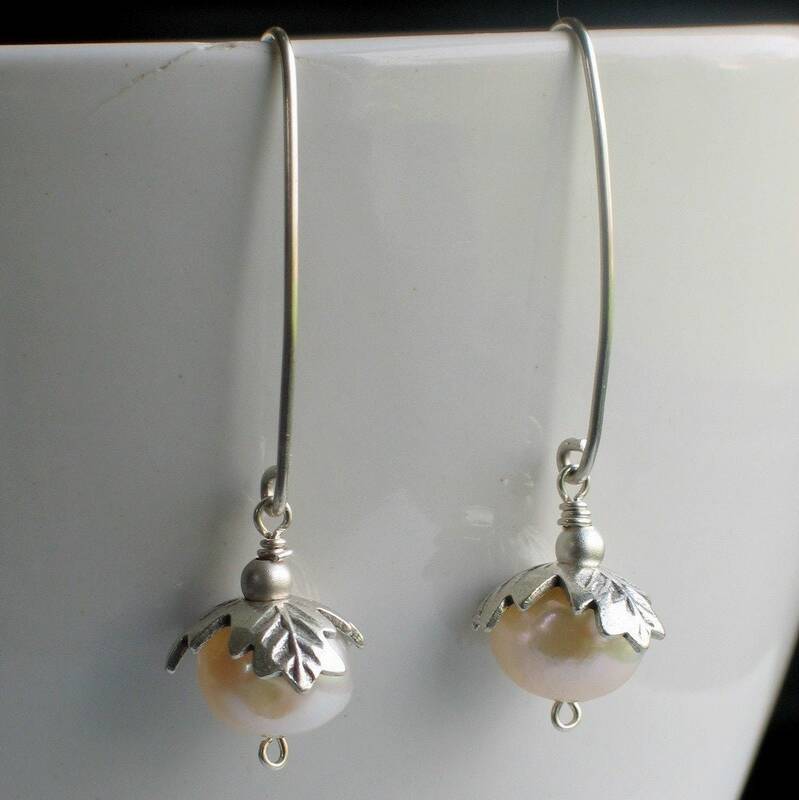 Heavy sterling silver bead caps with a leaf motif top the lovely large off white freshwater pearls. The assembly is wire wrapped in sterling to dangle from my hand formed ear wires. Botanical inspiration, simple and sweet--a classic. A perfect choice for weddings! These measure 1 3/4" from the top of the ear wire, and are shipped with clear silicone rubber ear wire clutches. 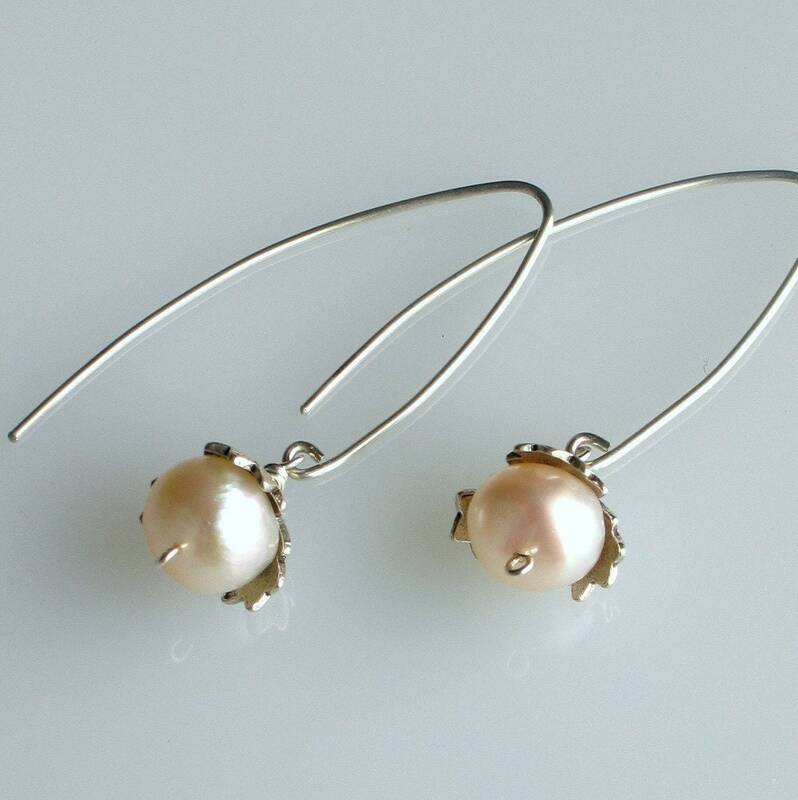 These coordinate with many of the white pearls pieces available here in the shop. If earrings and a necklace or bracelet are ordered together, I can make sure the subtle colors match as natural pearls have many different shades of color. 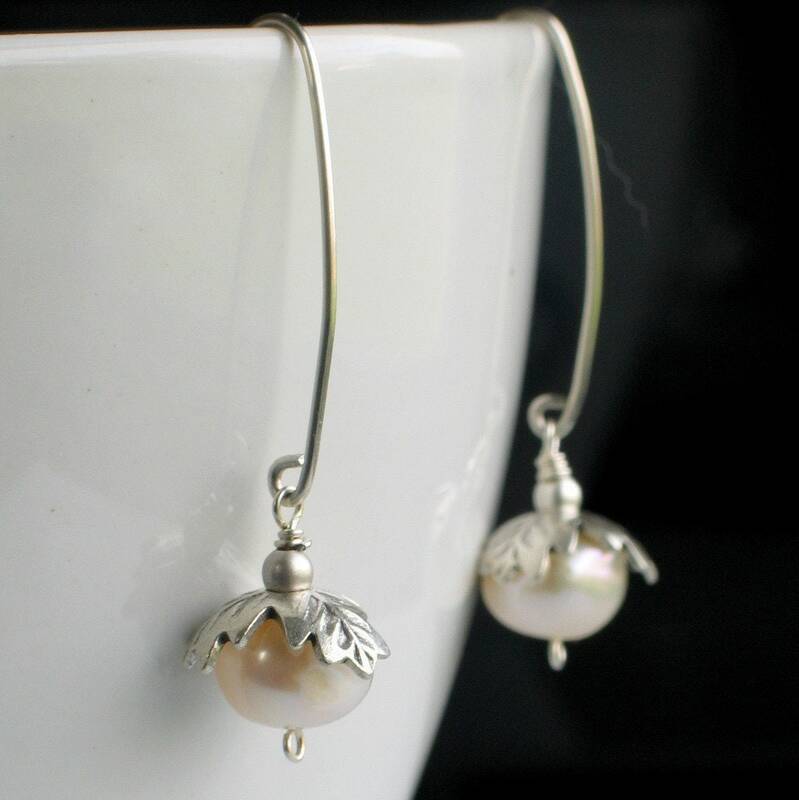 This design is available with large peach pearls here https://www.etsy.com/listing/48969199/peach-pearl-earrings-long-drops-with and by special request, could be made with larger pearls in other colors that I have in my inventory-just drop a convo! Earrings are packed in a cotton filled, signature box, all ready to give or to keep!! Many more creations featuring pearls are available here in my studio as I love to wear AND to design with pearls.